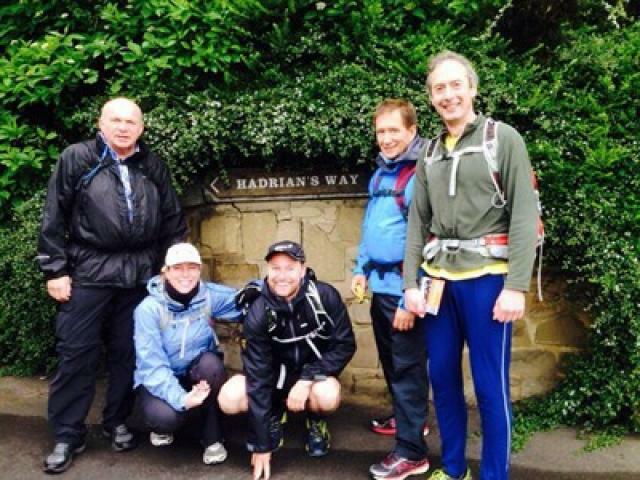 At the end of May, Jamie Gunning along with three clients from Soho Housing embarked on a gruelling 84 mile walk of Hadrian’s Wall, stretching from Wallsend near Newcastle across the country to Bowness on Solway, via Carlisle. The team started on the Friday morning at 5am and completed the walk in less than 36 hours, as promised without any sleep throughout. The team faced ups and downs through the entire experience (quite literally); the scenery was absolutely stunning and thankfully the team’s low points never came at the same time so team spirit prevailed. The weather was also typical of the UK - through the night in particular, the hail and the strong winds slowed them down, and there were parts of the landscape which were far steeper than originally thought. Despite this, Jamie commented ‘the feeling of achievement at the end was better than I had experienced previously. We all agreed that good relationships have now been taken to a completely different level. It’s certainly an experience (in my case… to never be repeated! )’.